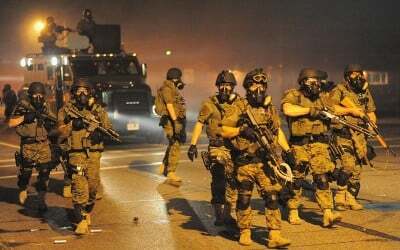 The US Justice Department released a report on Wednesday documenting systematic and wanton brutality, violence and outright criminality on the part of police in Ferguson, Missouri, carried out in violation of the legally protected constitutional rights of the city’s population. The conditions described are a devastating indictment of the American economic and political system. The actions of the police in America are much more in line with what would be expected in an economically backward dictatorship than a major industrial power, one that declares itself to be a role model of democratic rule for the whole world. Obama’s paeans to the “heroic” police in America notwithstanding, the actions detailed in the Ferguson report are not an aberration. Indeed, the Justice Department itself found similar misconduct in reports on police in Albuquerque and Cleveland over the past year. In the past two years alone, there have been nearly two thousand police killings in the US. All over the country, people in poor and working-class communities live in fear of the police, who are given legal immunity to harass and brutalize the population in service of the ruling elite. This was, after all, the same White House that worked with Missouri Governor Jay Nixon to mobilize the National Guard against protestors, and sent over a hundred FBI agents to spy on those involved. The White House combined its empty acknowledgment that protesters “were right” with its absolute defense of the decision not to bring charges against Darren Wilson for gunning down Brown in broad daylight. Obama made it a point Friday of explicitly defending the decision of the Justice Department not to charge Wilson—which followed a sham grand jury proceeding last year—as if the actions of the killer cop were not entirely of a piece with the outrageous conditions described in the Ferguson report released the very same day. The criminality of the police in the US is of a piece with the operation of the state as a whole, and of the corporate and financial aristocracy that runs the country. As for the response of the Obama administration, it follows a definite playbook. Whenever the criminality of the American state comes bubbling to the surface and is revealed before the public, Obama admits the crimes while making sure that the people responsible for them go unpunished and acting as if the White House itself had no hand in the matter. Then there is the question of the government’s complicity in torture. In August of last year, Obama declared that over the past decade and a half, “We tortured some folks… We did some things that were contrary to our values.” And yet, none of the torturers, whose activities were exhaustively documented in the Senate Intelligence Committee report released last year, have been punished. Only a few months later, the corporate-controlled media now acts as if the report never existed. The same pattern is evident in numerous revelations of outright criminality on the part of the banks and financial speculators. The US Senate Permanent Subcommittee on Investigations’ 2011 report on the Wall Street crash proved beyond a shadow of a doubt that individual executives at major banks, including Goldman Sachs, Deutsche Bank and others, have committed crimes mandating prison sentences. The Senate turned over the report to the Justice Department, but no one was charged, much less prosecuted. No one can be held accountable because all of these great crimes are part of an even greater criminal conspiracy by the financial oligarchy to keep the great mass of the population in poverty and subjection.